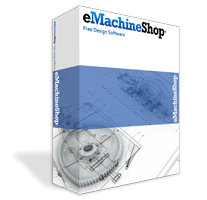 The free eMachineShop CAD software includes a box lid wizard. Just Download, fill in the dimensions and select a material. Box lid is used for the machined enclosure. Select the box lid wizard. Add holes for mounting components, etc.